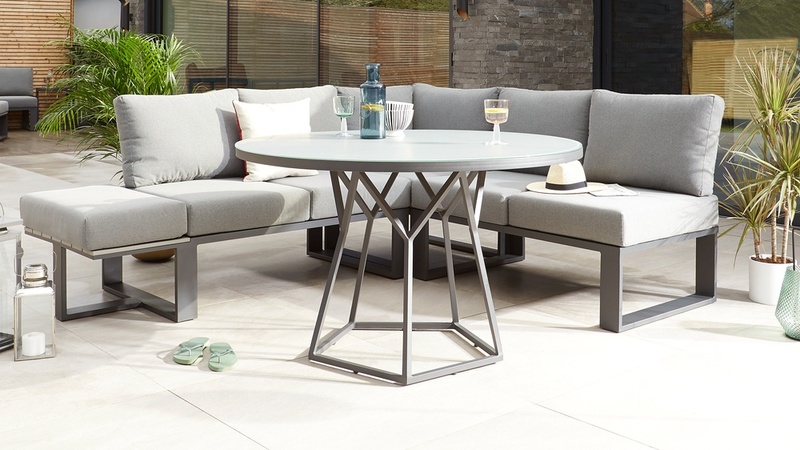 The Porto Grey and Glass with Savannah Garden set is a modern dining set where family or friends can get together. 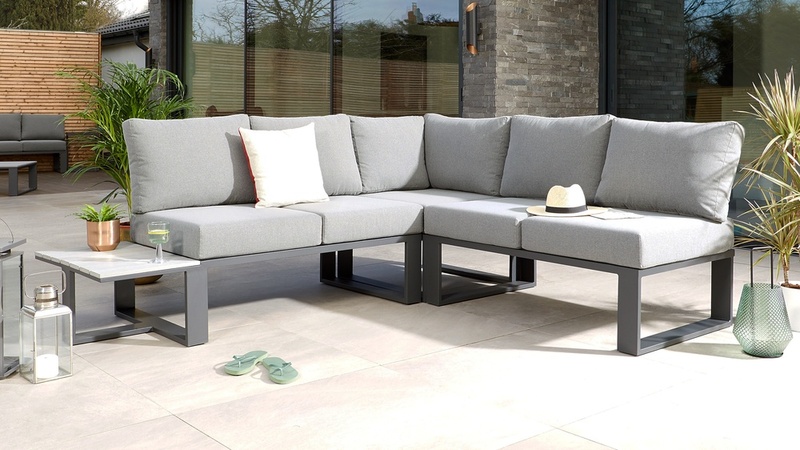 The Savannah garden range is a modular system which means that you can reconfigure the seating to suit your guests. 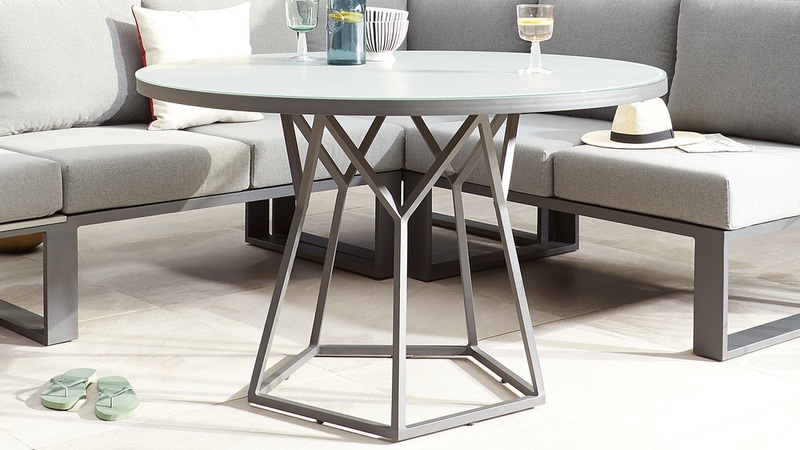 The Porto table adds an extra element of style and designer feel to the look with its geometric base, and with the versatile Vita tray table you always have somewhere to pop your drinks when your not using the dining table. The strong, pentagonal lines of the cage-style pedestal base, is the Porto’s defining feature. This design is exclusive to Danetti, lovingly created by our in-house designers which means you won’t find this table anywhere else on the market. The frame of the table and the chairs is made from powder coated aluminium. 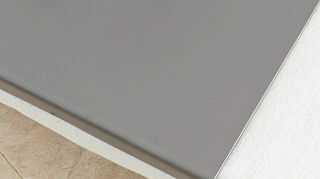 Aluminium itself is inherently anti-rust while the grey powder coat creates an effortlessly modern and matt looking finish. 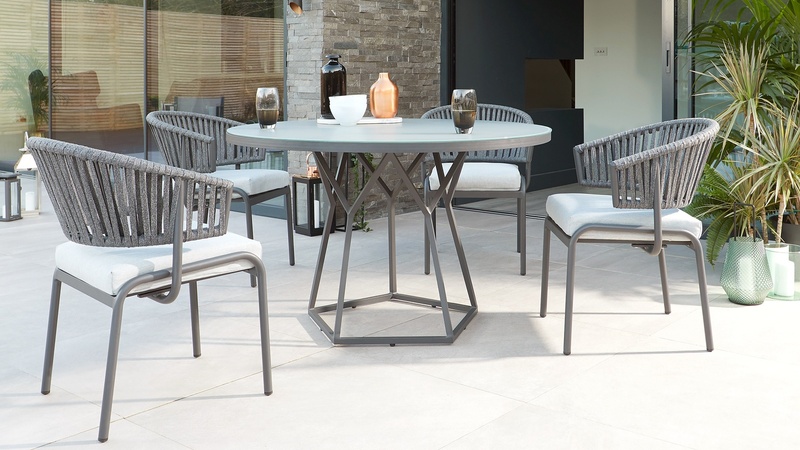 Anti-rust and so easy to clean, you needn't worry about your garden table during those summer showers! 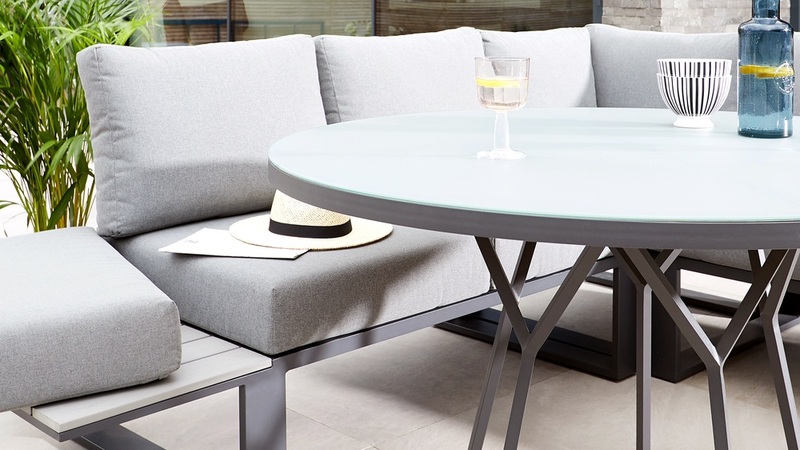 The grey frosted glass top of the Porto Table has a hazy and soft appearance, helping to keep your garden looking crisp, bright and fresh. An added bonus of frosted glass is that it isn't overly reflective which means you won't get a glaring reflection of the sun while you’re enjoying your meals. The side table on the 2-seater is made from polywood although it has the look of real wood. The benefits of polywood over real wood mean that it won't warp or discolour like real wood. It's also very easy to clean and keep looking as good as new. The 2-seater with side table is a versatile part to the bench set. 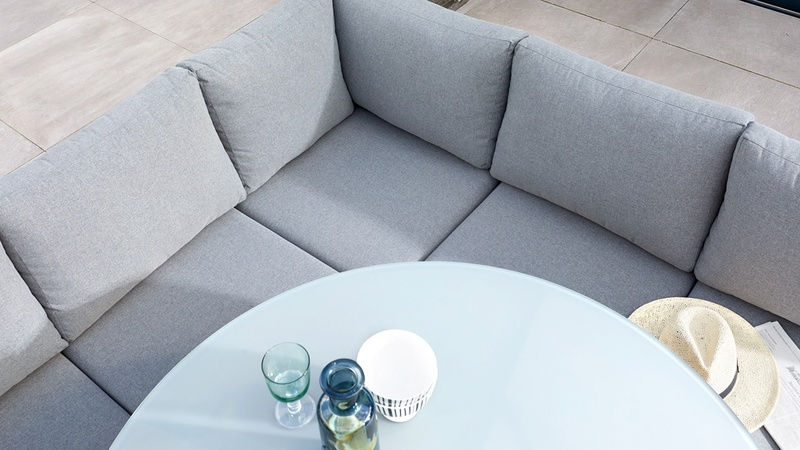 Not only does it have a convenient side table so you can keep your things within arm’s reach, but if you need extra seating space, simply pop the cushion on the table and you instantly have an extra seat. 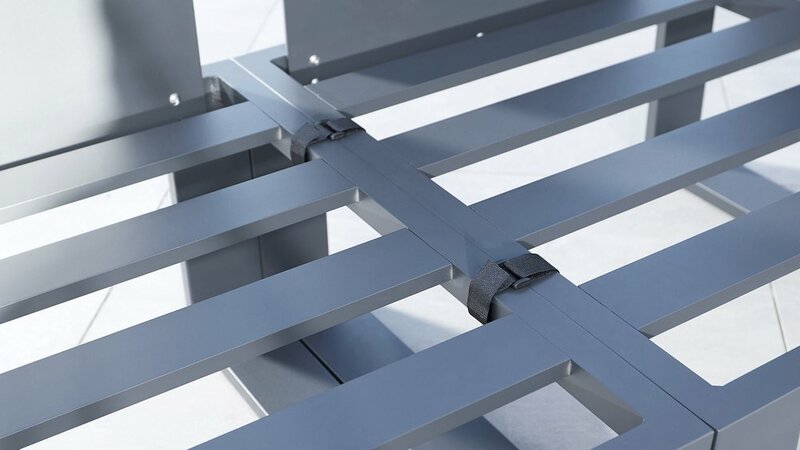 To ensure the Savannah modules don’t slide away from each other, we’ve included heavy-duty Velcro straps to connect the pieces. This means you can keep the modules in place, preventing them from slipping apart. 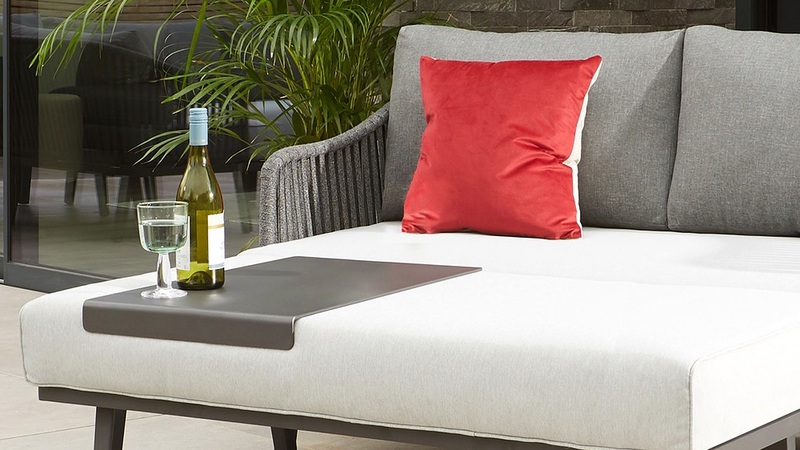 The cushions on the garden bench are kept in place with an anti-slip mat, so they don't move around but can be quickly and easily removed for cleaning and storage. 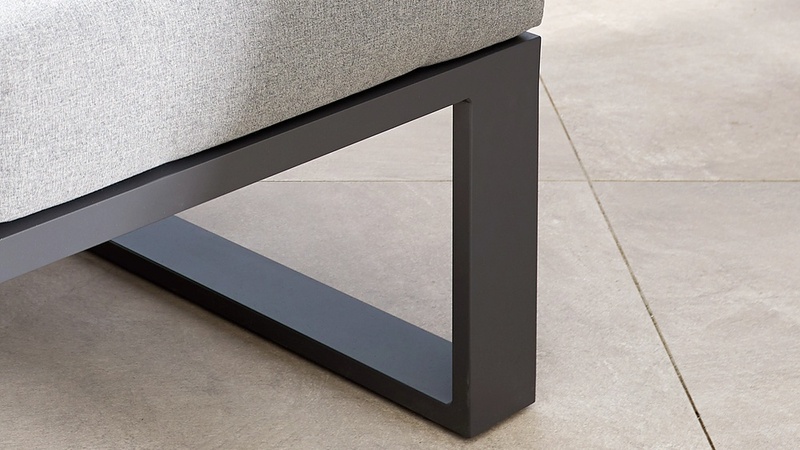 The Savannah modular corner seat has soft foot pads. This is to protect your patio or decking, while also protecting the underside of the seat. 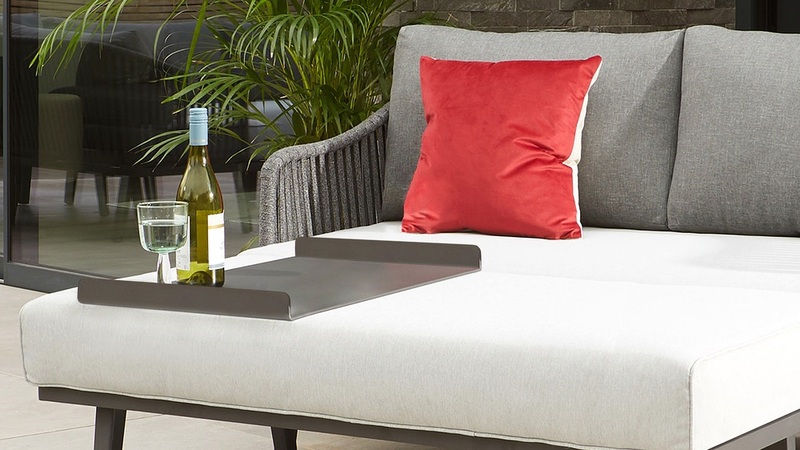 The Vita garden tray table is an incredibly versatile addition to your garden set. 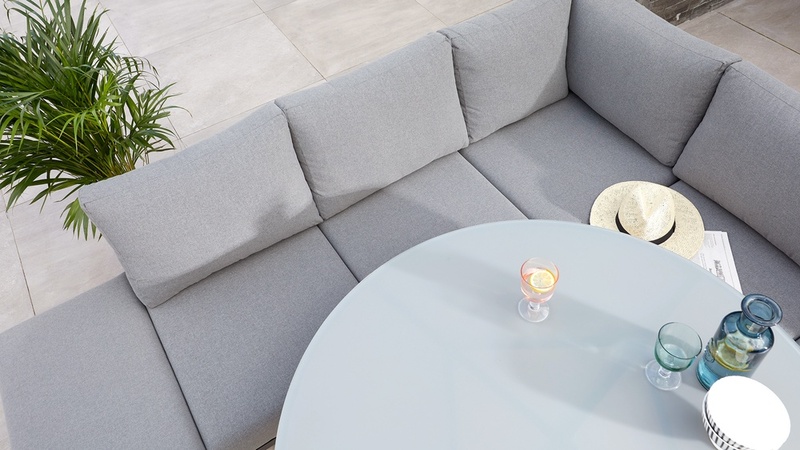 When not using the garden dining table, and arranging the bench in an outdoor living setting you'll be easily able transform an unused space to give a firm, flat table top where you can pop drinks and nibbles. 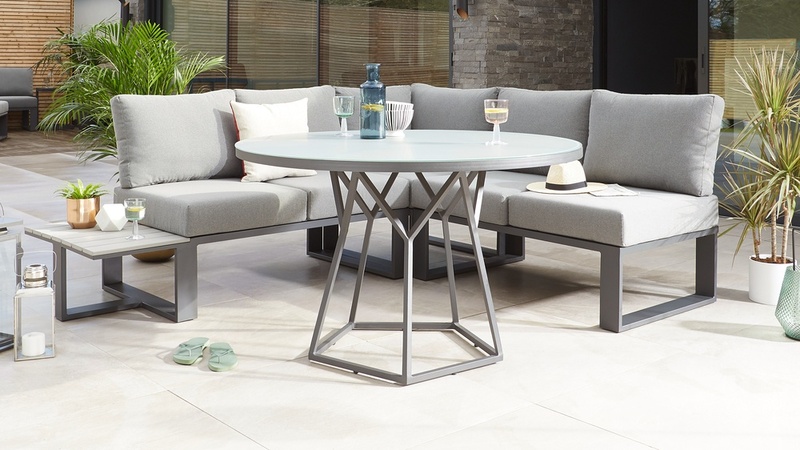 To expand the set and create an array of seating options, check out the Savannah Single Modular Seat and Savannah Coffee Table.